A recent column by respected conservative columnist Dennis Prager inadvertently, we presume, addresses an issue relevant to casino gambling. In the column, Prager discusses the bottoming out of hobbies that he and so many young boys and girls of his generation pursued. What is the problem that Mr. Prager is referring to? He states that modern hobbies are not creative and don’t compel young people to get up off their chair, sofa, or bed and actually do something. More than any other demographic, millennials rely on the most sophisticated forms of modern technology. There are so many social media outlets that many people even one generation older than millennials and certainly their parents don’t even know anything about them much less know how to access them or use them. Millennials are experts at the passive activities inherent in social media. In the column, Prager quotes a millennial who states that he and his cohort have a genuine interest in the digital sites that others have never opened. The key word in that quote is not interest but “genuine”. An argument can be made that gambling at a land based casino is an active pursuit while gambling at an online casino is a purely passive pursuit. In order to arrive at a land based casino, you have to, perhaps, book a flight, make a hotel reservation, and buy tickets to a show. If you decide to drive, you may stop along the way to enjoy the natural beauty of the countryside. Even if you fly to the location of the casino, you can schedule a day trip or two away from the casino. Online casino gambling is the opposite: it is as passive as playing video games, watching television, or spending a weekend binge watching movies. Gamers can access thousands of dollars in casino bonuses from a seemingly unlimited number of casinos and play for hours. Prager doesn’t really have any surefire remedies for the problem of an increasingly passive generation. He suggests that schools should give less homework so kids can have time to develop hobbies or just go out and play ball. On this score, Prager is far behind reality. American parks and playgrounds are full of baseball diamonds that remain empty night after night even when the weather is perfect for baseball. This has been the case since at least the 1970’s when color television became affordable to the average household, air conditioning also became more affordable, cable television made its first appearance, and the personal computer became the newest and best toy. Prager also asks parents to think about what they want for their kids. Here, too, he is far removed from reality because, even though the parents may not be familiar with the many avenues of social media, they are very familiar with a few and are more than willing to spend a lot of their own free time scanning social media. In that sense, parents cannot influence their kids to become less passive and more active. All this would be of no great consequence except that the casino industry continues to invest many millions of dollars, players wager billions of dollars, and communities vie for the chance to build a local casino or to legalize online casinos. If casinos are seen at some time in the future as being on balance a negative for society, the legal arms of societies, namely the courts and the legislatures, may impose very restrictive regulations on the casino industry. It behooves the casino industry to do everything in its power to see that casino gambling is seen as a minor, albeit passive, activity. The fun side of casino gambling should be emphasized even though that would inevitably reduce profits to the casinos. The concept of the Integrated Resort that has gained much support in the Far East and is gathering support in the West as well fits perfectly into this discussion. An Integrated Resort is a resort that families, conventioneers, shoppers, music lovers, lovers of fine cuisine, and many more people can go to and the casino at these resorts is just a part and possibly a minor part of the overall resort package. An Integrated Resort has family friendly facilities such as hotel suites, water parks, huge playgrounds for kids, and kids activities from dawn to dusk. Integrated Resorts have fine restaurants, a wide variety of shops to fit every budget, theaters and other entertainment facilities, a convention center large enough for more than one convention to come at the same time, and many more amenities. At an Integrated Resort, you don’t walk through the casino to get to your hotel room. There aren’t any Integrated Resorts at online casinos. For them, the challenge is more difficult. They need to be seen as entertainment sites instead of as places to gamble. Gambling should be second to simply having fun. 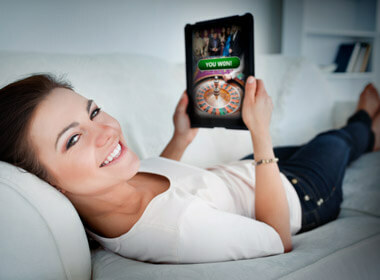 The newer online casinos seem to understand this better than the more established ones. Newer online casinos use bright colors and child-like images to give them the atmosphere of an amusement park or a birthday party. It may be that the hobbies of old are dead and gone. But casino gaming can become a hobby of sorts if the casinos themselves find a way to market themselves as fun and entertaining pastimes instead of as places to bet and win. Just as hobbies have always been leisure time activities that people did for the activity’s own sake, so can online casino gambling become a leisure time activity done for its own sake.